While developing a website or blog, the most crucial task is to get all the code work well across all the web browser. Bootstrap is the direct open source solution to that. And when combined with WordPress they result into the best themes. To understand the amazing combination in detail, let's have a look at its benefits and various properties. The WordPress community blooming these days. Gone are the days when WordPress was used only for blogging. Nowadays the combination of Bootstrap and WordPress is the most preferred platform for the development of the website. Bootstrap becomes popular for every website. There are some of its category which makes it so popular and top in the preference list. Bootstrap is a very flexible framework. It is immensely easy and speedy procedure, to begin with, Bootstrap. Bootstrap can be utilized along with CSS, or LESS. It is responsive to every new mobile device entering to the technology world. The major reason behind it becoming highly popular is its speed of development. Its consistency is such that it boosts website’s consistency tremendously. WordPress is a platform that features a wide range of themes on a website. A website will always have a unique theme to stay ahead of the crowd. Bootstrap is a program that lets you develop the look of the website along with responsiveness which will convert easily to a wonderful WordPress website. Both these platforms have a huge variety of free code and templates. So, instead of paying thousands of dollars, if you use both Bootstrap and WordPress, you will have a maintained and organized website which is ready to upload any type of media. The Bootstrap can be easily integrated for any kind of WordPress website. Increased Responsiveness Integrating WordPress with Bootstrap itself gives a responsive style to your theme as well as website. If it was hard for you to develop WordPress with responsive design, integrating with bootstrap would save your time and will even provide better results. As Bootstrap uses a grid-based layout of 12 columns which can be used with the elements in your template files, it becomes easier to make your content fit into the grid. Modern and Attractive Designs, The layout, and typography provided by Bootstrap are amazing. Amazing not from the perspective of award winning, but will make your theme modern, with better interaction and legible. Better styling for blockquotes and citations along with table styling better than various WordPress themes. Combination Plays Wonderfully with HTML5 Along with a unique class of styling, Bootstrap also provides styling for the entire range of HTML5 that can be used by you for styling the WordPress theme. Styling these from the beginning on your own can be a great hassle, and with Bootstrap, it becomes easier, and it also saves your time to make a markup in your theme. Offers Easy Access to Scripts Bootstrap provides a wide range of scripts that will help you to add the most commonly used animations and interactions to your site. So instead of buying them from any other place, it is better to use them from Bootstrap. Now let us discuss some of the best WordPress themes built with the enormous combination. 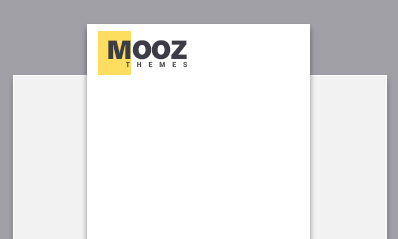 Serenti is a blog theme offered by MOOZ Themes. It is a clean & elegant blog theme specially designed for fashion, travel, lifestyle or personal bloggers out there. The theme aims to reduce the distracting clutter and therefore trimmed away many elements and lovingly crafted a wonderful theme ideal for the passionate bloggers in the world. The theme offers a variety of post layout options and a numerous sidebar, footer widgets and a lot more keeping in mind both the sidebar & full-width layouts. Serenti theme would showcase your content in an elegant as well as enormous way. With Serenti, enjoy writing, blogging and maintain your website! Assan is a modern and multi-purpose WordPress theme which uses the powerful Bootstrap 3 and offers the features like a grid system, typography, elements and more. It is a fully responsive theme that looks great with smaller and mobile devices. The theme was built with an aim to make the development process easier. Whether the website is created for corporate needs, or a business website or a one-page website, or portfolio website, Assan will perfectly meet up all your needs and make your development process easy. Illdy is a multi-purpose WordPress theme which built on the basis of Bootstrap frontend framework which makes it fully responsive and mobile-friendly. Mainly for business websites, landing page, portfolio or any other creative website. This is the only free WordPress theme you will need to personalize your website according to your requirements. Make use of the amazing combination and create a wonderful website for your blog or business. The author Sunny Patel has a strong command over wordpress development & Digital Marketing. Working in Elsner Technolgoies Pvt Ltd. from last 3+ years. Elsner is a global IT consulting firm with expertise in delivering IT solutions on Web, Mobile and Cloud. He always love to learn & share experience to world.